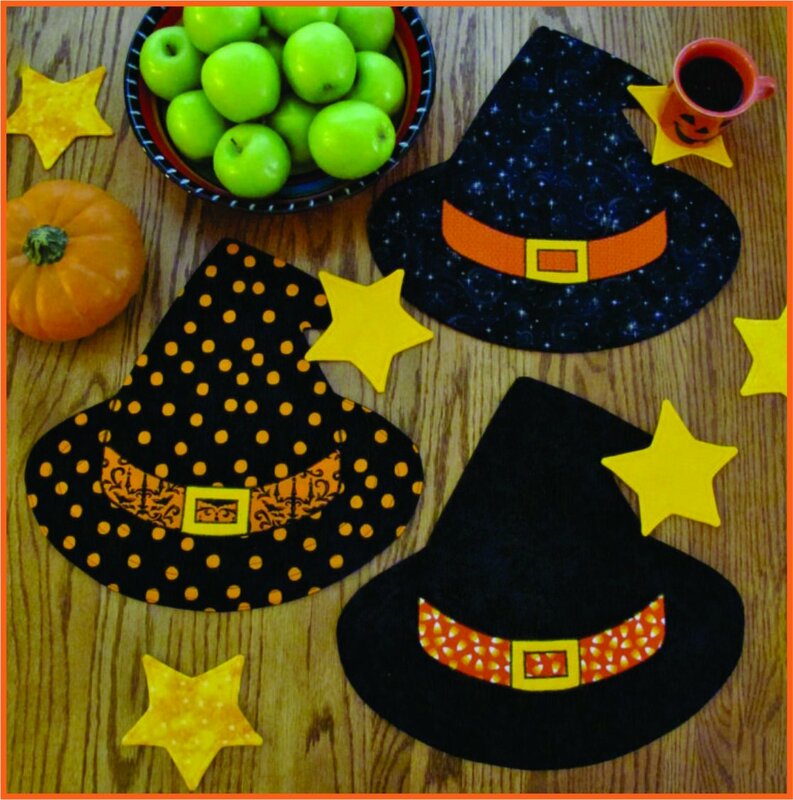 Full-sized pattern pieces to sew up whimsical but spooky Witch or Wizard Hat place mats with a Star mug mat attached (or which can be made and used separately). Make some amusing party decorations, or use for fun meals everyday! 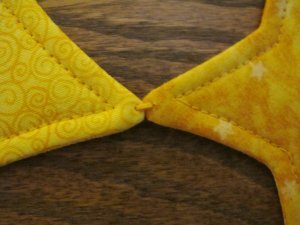 Approximate finished size: 16” x 16“. 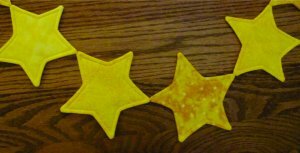 We also include instructions to make Star Garland(s) for year-round fun!